If you must steal the National Cake, then steal enough. Do not steal a piece of cake that weighs less than Thirteen Billion Pounds. I can’t be bothered with the metric conversion to kilograms so pounds will have to do. Yes, I know we were colonized by the British but I am giving these stealing tips in my newly-acquired American accent, so pounds is quite apt. Please forgive me for being behind the times, I hear “Stealing is no longer Corruption”. Perhaps, I should reword my sound advice- Do not “take” a piece of cake that weighs less than Thirteen Billion Pounds. Yes Billion, you heard me right. Millions is so mediocre, it even sounds like Minions – funny, right? Always remember that you are special and have nothing in common with the masses, those laughable minions, pitiful slaves of Nine-to-Fives. Make it worth your while o, anything less than 13,000,000,000 lbs. would be so embarrassing. You mean it crossed your mind to eat less cake simply because you are worried about your expanding waistline? How vain! And you are also worried about dental cavities? How unambitious! Enough of that sanctimonious burst of conscience, go hard or go home! Look, you must stop thinking of yourself alone, that is so inconsiderate to your unborn generation, your children’s children’s children and the children’s children after them. Surely you don’t want them globe-trotting aboard common steel private jets, you must adopt a visionary mindset, for the order of the day in the Year 2300 AD would be supersonic jet capsules made of pure platinum. The elite would even have exclusive limited edition private spaceships fashioned out of tonnes of precious Kryptonite, enough to make Superman quake in his fancy red boots. Bear in mind that you would be the proud patriarch or matriarch of an enviable lineage of silver-spooners. The Never-Have-To-Work-A-Day-In-My-Life breed. Wouldn’t you like that? See, there would be no point keeping up with the Joneses, those mere earthlings. Think big! Think out of this world! With your delicious piece of cake, you could buy a mansion on Mars for yourself and another on Venus for Madam or Oga, the kids would just have to make do with one on Pluto (being the smallest planet and all). I’ve been told that Aliens are the best house-helps, they clean and scrub tirelessly. Very loyal too- those extraterrestrials. They say Money can’t buy Life. Doubting Thomas’s! Aaargh! The myopic never cease to bore me with their pessimism. I assure you that with your Thirteen Billion lbs. heavy piece of cake, you could commission scientists to develop the elixir of eternal life, build them a secret laboratory in your basement and lock them in it. You know scientists are sometimes eccentric, they wouldn’t mind the captivity at all. You’d then live for all eternity to enjoy all your worldly possessions. Mwahahaha! Never mind ordinary people and their beef for prosperity, they like to scoff when they see your bright and shiny new toys, with the corners of their lips turned downwards they say “Money can’t buy Happiness”. Tsk tsk, how ludicrous! With that much yummy cake you’d be able to pay to be cloned so that all 250 versions of your (im)mortal body would be able to sleep at the same time in all the 50 beds in each of the 50 houses owned by you all around the world. Ah! Imagine being able to feel the cool sensation of that exquisite waterbed inside the Villa in Marbella and the warmth from the heated bed on the Private island in Casablanca. Both at the same time! How divine! In fact, Happiness wouldn’t even begin to describe the feeling, Heavenly bliss comes close. Secondly and more importantly, if you must steal the National Cake, then steal, I meant to say take, with a cunning expertise so impressive that even if caught, the prosecutors would shake their heads in awed admiration and high-five you. They’d then confer huddled together and in hushed whispers conclude that it would be oh! so unfair to punish you. You’d be too blessed to be stressed! Somebody shout Halleluya! Omg! Loved, loved this! You could call me that ‘drops in once a month’ blog reader, but I pledge on this incredibly written piece of work, to henceforth religiously follow this blog. You write so beautifully. I just imagined this as a spoken word piece. It was awesome too. I’ve seen the multiple likes, thank you so much for camping on my blog, your witty pledge means a lot to me. Have a super duper week. Yikes, so sarcastic. 🙂 very funny too. And I love the cake! It’s so beautiful! It’s actually a cheese cake made in honour of St. Patrick’s day, I did an online search for a suitable picture to accompany the post and was delighted to find one that mirrored the colours of the Nigerian flag. Thank you for reading this, best wishes for the rest of the week! I loved this very much. Oh, thank you for sharing! Lol… I know right ! Even after all these years, transitioning through the stone age to the dot-com era, greed and corruption are still deeply rooted inside man. Tsk tsk, how ludicrous! With that much yummy cake you’d be able to pay to be cloned so that all 250 versions of your (im)mortal body would be able to sleep at the same time in all the 50 beds in each of the 50 houses owned by you all around the world. You’re just hiding talent from us and giving us tid bits. Hmmn, issokai. lol. I hope the air they breath will be made of tiny droplets of diamond. Thank you so much for reading, enjoy the rest of the week. Oh my days! This post slapped me hard and then offered me delicious cake. Perfection. The message oooo… 13bn lbs. Just take and take and take and bury your conscience deep in your belly underneath all that cake. Hahahaha! Thank you so much for reading. I totally agree with you, with a conscience buried so deep, it becomes hard to distinguish between right and wrong. I keep wondering how anybody can willfully steal even if it’s N1000 and not feel guilty about it! Where on earth did their conscience go to? And they all say they’re Christians!!!! HOW?!?!?!?!?!?! Ah! Digested with the cake and then excreted. Sarcasm delivered in bite-sized pieces. Yum! I thoroughly enjoyed this piece. “… those laughable minions, pitiful slaves of Nine-to-Fives” made me sigh. How apt! People are hustling and hoping and yet they will never even taste the icing, talk less of the actual cake. Reality 101. P.P.S Is that a St. Patrick’s Day cake? You always leave me well-thought-out comments, thank you so much. Indeed, it is cheating. Now the international price of crude oil- the country’s major claim to fame- has crashed. The oil money is dwindling. The four-leaf clover gave it away, right? 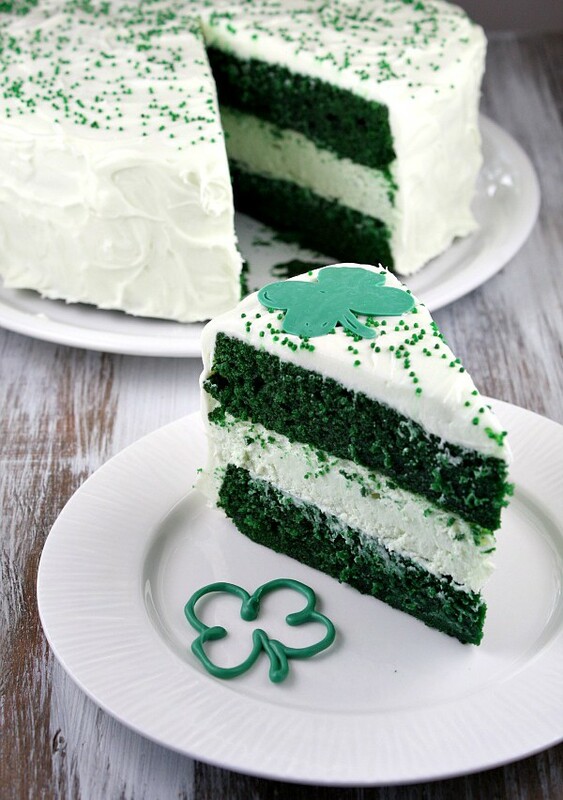 I searched on google for the picture of a green cake to complement this post and I found something even better that resembled the Nigerian flag- a green velvet and cheese cake made for St Patrick’s day. You are absolutely gorgeous and with a pen? ahhhhhh! killer! plus a captivating smile? What’s not to love about you? Thank you so much! You made my day. It’s wonderful how a kind gesture can be so boosting. Hahaha. I absolutely loved this!!! Hmmm, the mention of “just” suggests a modesty that goes against the invaluable advice that I’ve given. It seems typical for one to want more than just a slice of this peculiar “cake”, you see. Thank you so much for reading, have a great week. I read the book Animal Farm at a tender naive age. I got so upset that the “leaders” weren’t keeping up to their lofty promises to the “masses”. I think I cried a bit sef. Smh. Animal Farm is an apt caricature of human political behaviour, it’s a great book. I like your perspective, indeed, one has the choice of either owning the bakery or working there as a baker. Every man for himself… but the hustling could be done with a clear conscience. PS: You’ve been quiet on your blog, I guess you are more active on your Facebook. Oh yes dear. You noticed well. Blog shall be revived soon! Nedu, this is sublime. Beautiful writing…I want to meet you. Pfffttttt!!! You are very right….only peasants recite those mantras because they can’t see past their mud-covered noses….they knock what they don’t understand….mere savages! Oh Honey, you are the best! You’ve even gone one step ahead of me, I failed to make provision for the transportation of such a weighty piece of “cake”, one can’t risk spraining one’s wrist, oh no! What a wonderful way to torture the suffer-head peasants, let them carry the cake sef. They will smell the delicious, creamy butter icing, and their mouths will salivate pitifully, but NO cake for them! Indeed, how much does one person really need? Is the thin line between a Want and a Need simply the voice of Reason? So I heard one certain politician in Africa own about 700,000 cars. I don’t want to imagine what his garage will look like but can he not clone himself please. 700,000 version of such a man will steal all our names and the whole earth. Ah! The irrational desire for 700,000 cars can only have been fuelled by an insatiable thirst, greed doesn’t even begin to describe it. You have a valid point o, some have mastered the art of skilful “taking”. Thank you for reading, have a blessed rest-of-the-week! I agree with you, one does need money to have a life, it shouldn’t be at the expense of others though. Thank you for coming by, have a great rest-of the-week! Lol 13 billion lbs was just too funny! When one’s appetite becomes so large that nothing less than a 13 billion lbs. slice of “cake” can satisfy their craving. You’re a woman of immense talents, you blew me away with this satire. Well done! Thank you so much for your kind words, I like how satires sometimes feel like a slap given with a honey-coated smile. Lool this post should replace the definition of sarcasm in the dictionary! Oxford to be precise since we are talking pounds and all. God will help us in this country! Your comment really cracked me up. XD I agree with you, the British Oxford dictionary would be the most suitable for this purpose. Indeed, we continue to hope for change, or perhaps the change begins with us. Thank you so much for reading, have a joy-filled week! 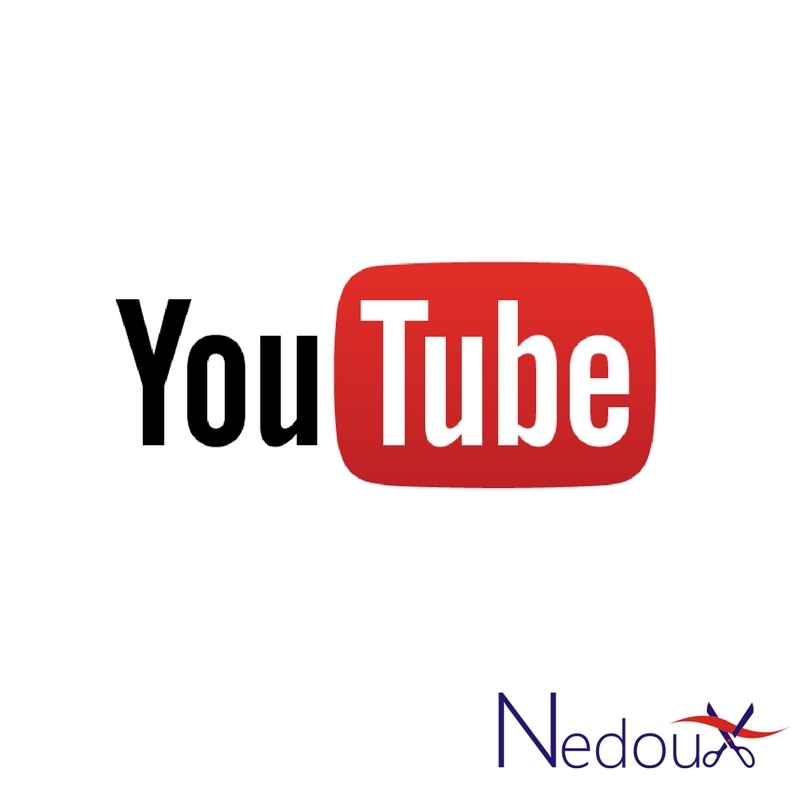 Hahahahaha… Nedoux, you got me in stitches! You’ve said it all, indeed what shall it profit a man to gain the whole world and lose his soul to greed. if there’s an honest one out there, s/he should stand up. Rollicking good laugh. A cutlass sized cut will not do. Let’s carry the entire cake plus the bags ofor flour, butter and everything else. Where is that baker? Add him to the recipe! Indeed, for cake of this magnitude, a dainty knife will not do, only a hefty cutlass will cut a worthwhile weighty piece. Oh! adding the baker into the mix is sheer genius; A Baker-flavoured cake, how wonderful! Thank you so much for reading, have a happy week! Lmaooooo! Yes. The best advice I’ve received in a long while. Why should I ‘take’ just a lil slice of cake, when I can take the baker and the bakery sef. Thank you Nedu, the scales have fallen off my spectacle aided eyes. I will no longer worry about my waist line expanding nor fear cavities for this ‘cake’ can fix all that or even get me new ones! Awesome post. Bravo!!! Oh! I love your point of view. Indeed, this cake can even buy a Waist Trainer factory, you’ll have a lifetime supply sef. Thank you so much for reading, have a lovely week! Wow! Nedoux, this was funny but the underlying message must not be overlooked. This tiresome cycle of fund misappropriation with evaded penalty, the wealth meant for all is enjoyed by a greedy few, it is sad. Glad I found my way to ur blogsite. Indeed, the underlying message mustn’t be missed, it is a vicious cycle of injustice. “All animals are equal, but some animals are more equal than others”, it’s like we are acting out the script to Animal Farm. When is your birthday though? PS: I sent you an email this morning. Thank you for reading, have a great week! It’s become the norm for these people to sweet-talk us into voting them into office and then when they get in, they “take” public funds like it’s their birthright. Thank you for reading, have a wonderful week! Have a great week too, dear. “We hang the petty thieves and appoint the great ones to public office” This is so Spot on! The ever-widening income gap is a shame, they assume that being voted in gives them a free pass to embezzle funds meant for the benefit of all. Btw, is it your birthday? If so, happy birthday! I am reminded of African Chyna’s hit song- ♫ Poor man wey steal maggi, them go show him face for Crime Fighters | Rich men wey steal money; we no dey see their face for Crime Fighters ♫. Oh, it’s not my birthday. Catchy tune, but meaningful message in the lyrics. Nedu you are such a wonderful story teller…..you had me captivated until the very end!